With the WrestleMania 34 almost upon us, WWE rumor mills are working in full flow. The upcoming PPV is packed with several superstars. Yet, there are speculations that a few more could make a surprise appearance to shock the WWE Universe. WWE officials make it a point to involve a few shocking surprises to ensure the event is a success. While returning past superstars do have an impact, it cannot be compared with the appearance of superstars from other sports. It is being rumored that Zlatan Ibrahimovic could make a ringside appearance at WrestleMania 34, as reported by Wrestlezone. The Swedish striker recently moved to the L.A. Galaxy from Manchester United. The stylish footballer has played for some of the world’s best football clubs such as Barcelona, PSG, and Inter Milan. It is believed that Zlatan is keen on appearing at the upcoming PPV. Considering Zlatan’s strong persona, fans could be in for a delight with his appearance. WWE rumors suggest that Zlatan Ibrahimovic not only wants to appear, but also get involved in some way or another. 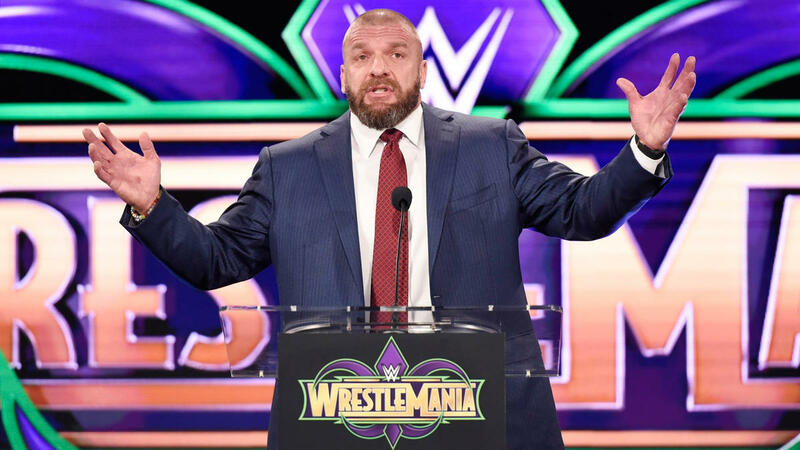 Bookies have considerably slashed the odds of his appearance at the WrestleMania 34. The odds of Ibrahimovic appearing at the upcoming PPV have been reduced to 16/1 from the earlier odds of 50/1. The enthusiasm of the fans to see a cross-over of soccer and wrestling is also one of the reasons for these changes. George Elek, a spokesperson of Oddschecker, said that Zlatan appearing at WrestleMania was one of the obscure rumors, but his move to the Galaxy has resulted in the story gathering pace. Zlatan’s appearance would not be the first of its kind. His former teammate Wayne Rooney has not only just appeared at ringside, but also ended up slapping Wade Barrett. Rob Gronkowski was also present ringside last year during WrestleMania 33. He had even entered the ring and shoulder tackled Jinder Mahal. One can only hope that Zlatan Ibrahimovic will also be involved in some action at the upcoming PPV. Zlatan going against the likes of Triple H or Brock Lesnar could leave the fans speechless. WrestleMania 34 is scheduled to be aired on Sunday, April 8, from Mercedes-Benz Superdome in New Orleans.